So you’ve got a tire puncture. Bummer. We feel your pain. Well, here’s what you need to know to get up to speed on the basics of tire puncture repair. 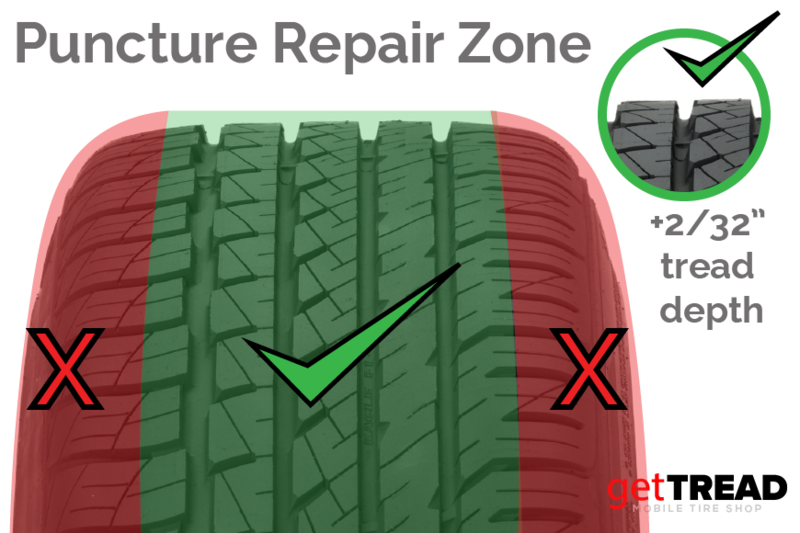 If you’re more visual, take a look at this quick step by step pictorial on how a professional tire repair should be done. 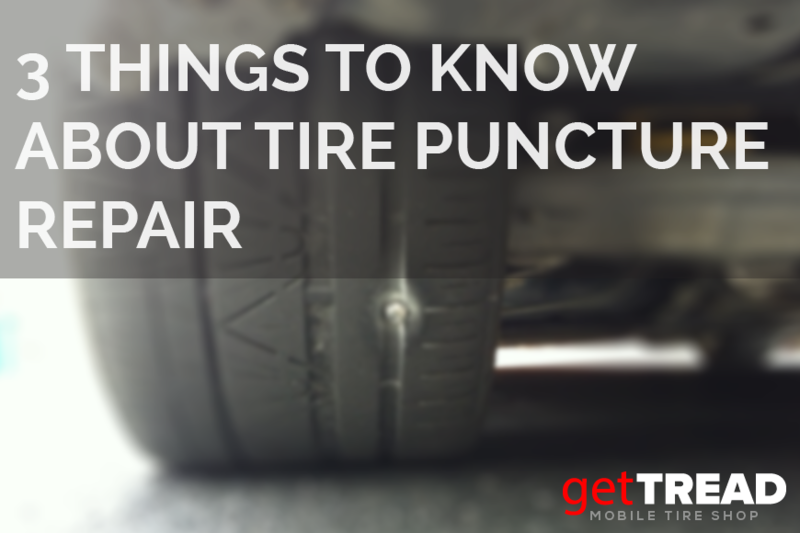 Well, that’s 3 Things To Know About Tire Puncture Repair. For more info on specific recommendations for your puncture, hop over to our Puncture Repair service page and book an appointment. Avoid interruptions to your day. Get a guaranteed repair at a time and place of YOUR convenience, with getTREAD! Thank you for all the information about tire puncture repair. I noticed I have a giant nail in my tire, and I have been wondering how they would fix something like that. That is good to know what the puncture must not be near a tire sidewall to get fixed. I will have to see where the nail is before I take it in for repair. I noticed that there’s a hole in my tire, and I want to make sure that my tire works right. It makes sense that puncture repair can only work in certain places of the tire! Otherwise there isn’t enough flat space for the plug to seal. Yes that’s right! Better to be safe than sorry. A tire blowout due to improper repair can lead to serious injury.